In the last decade, the capital of the Netherlands has become incredibly popular with tourists, the giant letters I AMSTERDAM in front of the iconic Rijksmuseum serving as the ultimate selfie backdrop. However, slowly but surely, more and more Amsterdammers started opposing these letters, which had become a symbol of “overbranding” and “Disneyfication” of the city and museum square. Then something interesting happened: In November 2018, the Green Party (Groenlinks), now the leading party in Amsterdam, managed to have the letters removed – a bold political move that fueled a wider debate about tourism and the role of museums. This conversation is relevant not only to Amsterdam, but to most European cities where Easyjet flights packed with sightseers land every hour. Have our museums become theme parks for tourists? Exhibitions are consumed –as well as plenty of coffee and cake – and topped off with the unavoidable “exit through the gift shop.” There seems to be no escaping selfies and slogans, consumption and queues. People are increasingly living in cities: from 50% of the global population in 2008 (when the population was 6.7 billion) to an expected 84% in 2100 (when the population will be a mind-boggling 11.2 billion). Aside from the fact that we need to start talking about this frightening population growth, I’m expecting a growing need (and interest) for museums located outside of cities – far from the hustle and bustle. So next time you are looking for a weekend activity, consider visiting an art institution that is not only in a beautiful and tranquil area, but that also curates exhibitions and programs events on the topics of ecology and sustainability. Please find below my personal favorite Top 10 most exciting art institutions in rural areas – in Western Europe (for now). Just don’t say you got it from me and don’t go there all at once! Founded by art collectors Geert Verbeke and Carla Verbeke-Lens, the Verbeke Foundation is a private art site, which opened its doors to the general public in June 2007. A “refuge” for art, the foundation holds an impressive collection of modern and contemporary art and offers exciting possibilities for emerging as well as less renowned artists. ‏Culture, nature, and ecology go hand in hand at the Verbeke Foundation. With 12 hectares (29.7 acres) of scenic area and 20,000 m² (4,9 acres) of covered space, the Foundation is one of the largest private initiatives for contemporary art in Europe. The warehouses of the former Verbeke transportation agency were converted into unique exhibition halls, and one of the buildings houses an extraordinary collection of collages. Artists have the opportunity to be in residence, and large and small exhibitions are held at the museum continuously. Our exhibition space does not aim to be an oasis. Our presentation is unfinished, in motion, unpolished, contradictory, untidy, complex, inharmonious, living and unmonumental, like the world outside of the museum walls. You will find no flamboyant sensational buildings here but rather a refreshing, unpretentious place to look at art and a subtle criticism of the art world. Museum Insel Hombroich aims to be in harmony with nature, or to show “art in parallel with Nature.” This description echoes the quote by French Post-Impressionist painter Paul Cézanne: “Art is a harmony parallel to nature.” It captures the spirit of the Museum, which explores the idea of creating a space as an ideal in both museum and landscape terms. Opened to the public in 1987, Museum Insel Hombroich sits on a 21-hectare, conservation-grade landscape and is comprised of ten pavilions (called “walk-in sculptures”), which are open exclusively during daylight hours. Some pavilions are quite hidden amid stunning meadows filled with wildflowers. The absence of captions, labels, signposts or even barriers in front of the works contributes to making this a very tranquil and almost spiritual experience; you can fully engage with the artworks and get lost in the experience. It’s not about the fame or ego of the artist (though there are some incredibly famous works in the collection). Furthermore, there is hardly any artificial lighting, which allows the works to always be connected to the outside world. To me, Hombroich means not only the construction of a museum, but an attempt to find a new way of living with all the ideas and things that one might almost see as having been disparaged in our current society. Located less than half an hour away from the quaint town of Maastricht, tucked between the rolling hills of Limburg, you will find Kasteel Wijlre, a castle-esque private home turned contemporary art space. Though it received the European Garden Award in 2014, the term “castle park” seems more appropriate for this three-hectare green area, which includes lawns, a rose garden, an apple orchard, an herb garden, a vegetable garden and a toad pool. This “castle park” houses several permanent artworks, including the archetypal Broken Circle by Ad Dekkers, and the easily missed, yet not-to-be-missed bronze tree by Giuseppe Penone, hidden among “real trees.” Previous exhibitions have included a selection of previously unseen collages, photographs and drawings by Gordon Matta-Clark, as well as the exhibition What About A Garden (shown above), examining how the garden affects our thinking and sense of agency. We love sculptures, but didn’t want a sculpture garden. In our garden, a tree is never sacrificed to make way for an artwork. In Wijlre, art, architecture, and landscape form a perfect unity. The fancy and well-known contemporary art gallery Hauser & Wirth is mostly associated with bustling city-life, with its galleries located in cosmopolitan hubs such as London, Los Angeles, New York, Zurich and Hong Kong. However, in 2014 Hauser & Wirth decided to bring their next artistic venture to a farm that had been derelict for several decades in rural Somerset. Next to the old and restored barns turned exhibition space, and a great restaurant, there is the stunning outdoor area: a landscaped garden dotted with sculptures designed by internationally-renowned Dutch landscape architect Piet Oudolf. With conservation, education and sustainability at the core of its mission, Hauser & Wirth Somerset offers a variety of special events including talks, seminars, workshops and film screenings. It is also home to a bookstore and an artist-in-residence program where visiting artists can immersive themselves in the idyllic surroundings. Sitting on a cliff, overlooking a stretch of ocean between Sweden and Denmark, is a museum that was initially intended to only exhibit Danish art when it opened in 1958. It is still home to significant Danish modern and contemporary art, but it also displays work from beyond the Danish borders and keeps close ties with museums globally. The grounds around the museum include a landscaped sculpture garden that connects art, landscape and architecture. The property slopes towards the Øresund strait and is dominated by huge, ancient tree specimens and sweeping vistas of the sea. On display are works by artists such as Jean Arp, Alexander Calder and Louise Bourgeois. The sculptures are either placed so they can be viewed from within the building, in special sculpture yards, or they are installed around the gardens, where they enter into a symbiotic relationship with the surrounding lawns, trees and the sea. On the outskirts of the city of Huesca, in the north of Spain, you might not immediately expect a cutting-edge expo on gender and ecology, yet this is exactly the type of exhibition you find at the Center for Art and Nature. Merging art and nature through contemporary art exhibitions, the center invites new reflections on the relationship between creation and landscape. In most shows, the visitor is encouraged to be an active collaborator. The beautiful natural light, and the quality of the landscape and natural elements that surround Huesca, contribute to making a visit to CDAN a stimulating yet calming experience. Marisa Merz installation view at Centre international d’art et du paysage de l’île de Vassivière. Courtesy of Centre international d’art et du paysage de l’île de Vassivière. Photo by Claudio Abate. This incredible museum is located in the middle of a lake and reached only by footbridge (or boat). Apart from it being on an island, the Centre international d’art et du paysage de l’île de Vassivière (the International Center of Art and Landscape at Vassivière Island) stands out because of its emblematic lighthouse and aqueduct-shaped building, designed by Aldo Rossi and Xavier Fabre. The Centre is a place dedicated to contemporary creation, experimentation, production, research, exchange, training, and reception. It aims to be a habitable and convivial place for art on a human scale, and presents series of temporary exhibits. Over the months and years, great names have exhibited their works there including Pierre Bismuth, Hubert Duprat, Yona Friedman, Cyprien Gaillard, Thomas Hirschhorn and Tino Sehgal. A stroll in the beautiful natural environment of the island is mandatory. Skaftfell, based in Seyðisfjörður East Iceland, is a visual art center with the essential role of presenting, discoursing, and encouraging the development of contemporary art. It is a meeting point for artists and locals and its activities consist of exhibitions and events, alongside an international residency program and outreach program. Skaftfell is also the guardian of a very small house previously owned by a local naïve artist Ásgeir Emilsson (1931-1999). In March 2013, Skaftfell received an Icelandic award, Eyrarrósin, for outstanding cultural leadership in a rural area. The Center also hosts a residency program that allows artists to live and work in a unique micro community where creativity is applied to the everyday, and that fosters dialogue between art and life. Over 250 artists have come to Seyðisfjörður and to East Iceland through the Skaftfell residency over the past 20 years. Some have left a physical trace, or a trace in someone’s memory. Some have returned many times, and others have stayed for good. Skaftfell is far away from the busy capitals of contemporary art, and it offers a refuge for artists – a hiding place, and a thinking space. The Center encourages artists to embrace the idea of a slow residency, and to allow themselves time for contemplation, setting the ground for a shift in their practice. 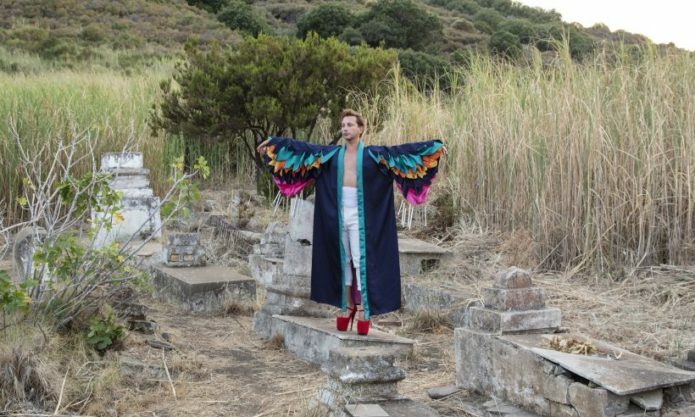 Every year since 2011, Fiorucci Art Trust has presented the artist-led program Volcano Extravaganza on the volcanic island of Stromboli, Aeolian Islands, Italy. Artistic leaders of previous editions include Runa Islam (2018), Eddie Peake (2017), Camille Henrot (2016), Milovan Farronato (2015), Haroon Mirza (2014), Lucy McKenzie (2013), Nick Mauss (2012), and Rita Selvaggio (2011). In recent editions, Fiorucci Art Trust collaborated with the Serpentine Galleries. The events include film screenings, contemporary art exhibitions in the Fiorucci Art Trust houses, and experimental performances across the island. The Mustarinda Association, comprised of a group of artists and researchers whose goal is to promote the ecological rebuilding of society, the diversity of culture and nature, and the connection between art and science, is located in a house at the edge of the Paljakka nature reserve in Kainuu, Finland. Contemporary art exhibitions, boundary-crossing research, practical experimentation, communication, teaching, and events form the core of their activities. Mustarinda reaches towards a post-fossil culture by combining scientific knowledge and experiential artistic activity. The Association is active both locally and internationally, and is involved in the PoFo project in collaboration with the Helsinki International Artist Program where they invite people from various fields to discuss what a post-fossil future might look like. PS: I’m researching similar initiatives outside of Europe – in Africa, Asia, South-America, etc. Please let me know if you know of any hidden art gems in rural areas! Curator Yasmine Ostendorf (MA) has worked extensively on international cultural mobility programs and on the topic of art and environment for expert organizations such as Julie’s Bicycle (UK), Bamboo Curtain Studio (TW) Cape Farewell (UK) and Trans Artists (NL). She founded the Green Art Lab Alliance, a network of 35 cultural organizations in Europe and Asia that addresses our social and environmental responsibility, and is the author of the series of guides “Creative Responses to Sustainability.” She is the Head of Nature Research at the Van Eyck Academy (NL), a lab that enables artists to consider nature in relation to ecological and landscape development issues and the initiator of the Van Eyck Food Lab.